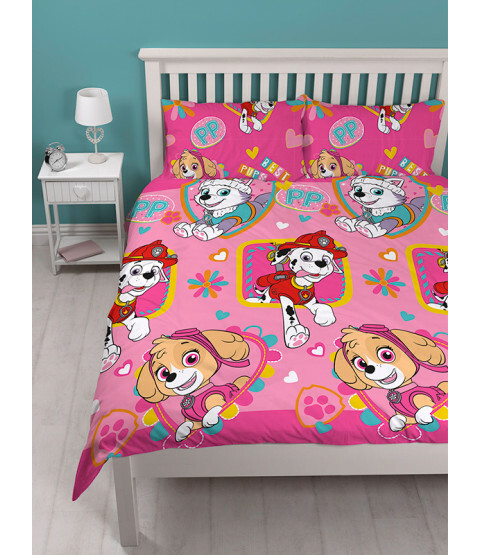 This Paw Patrol Forever double duvet cover set is a must for little fans of the rescue pups! 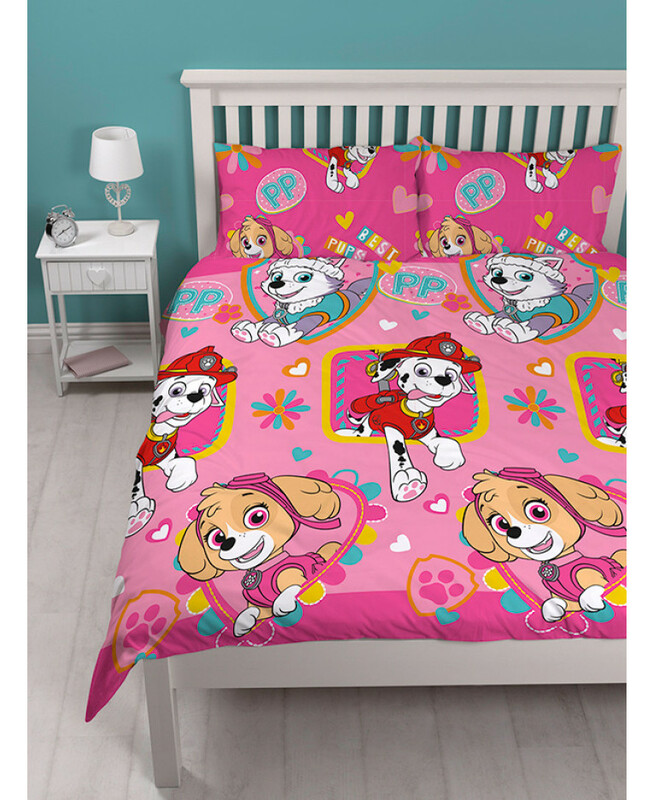 The duvet cover design features Everest, Skye and Marshall on a pretty pink, turquoise and yellow patterned background, with Skye and Marshall in a smaller repeat pattern on the reverse. 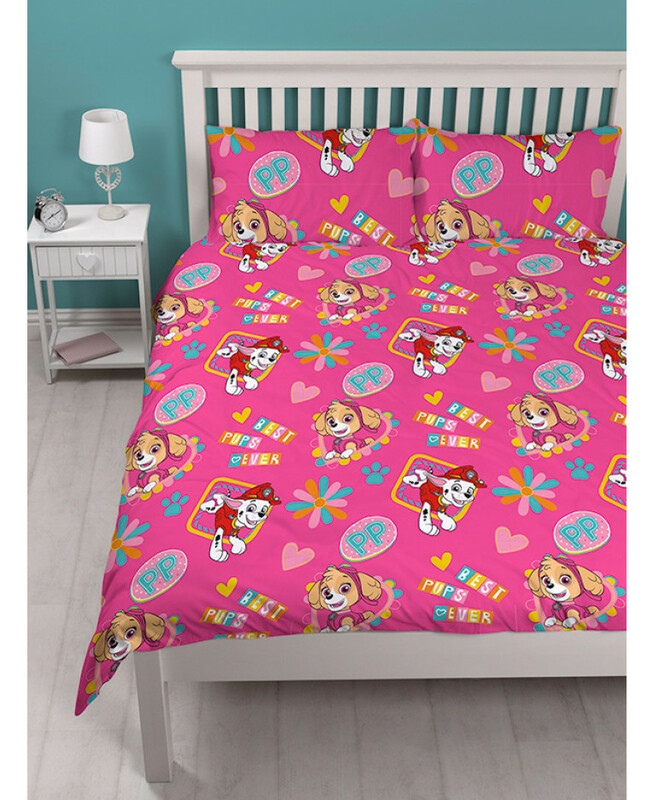 This bedding set can be machine washed and tumble dried on a cool setting.